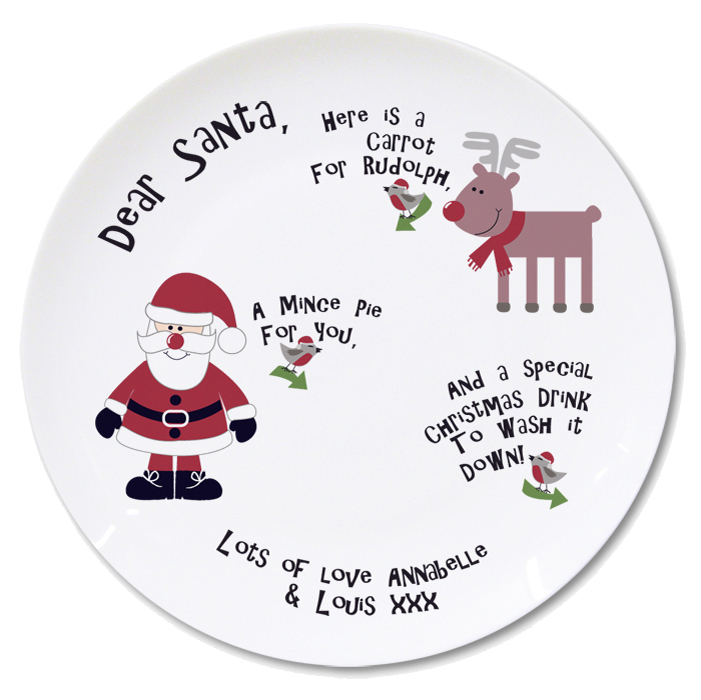 This fantastic plate is the perfect way to get the little ones excited for Christmas morning. 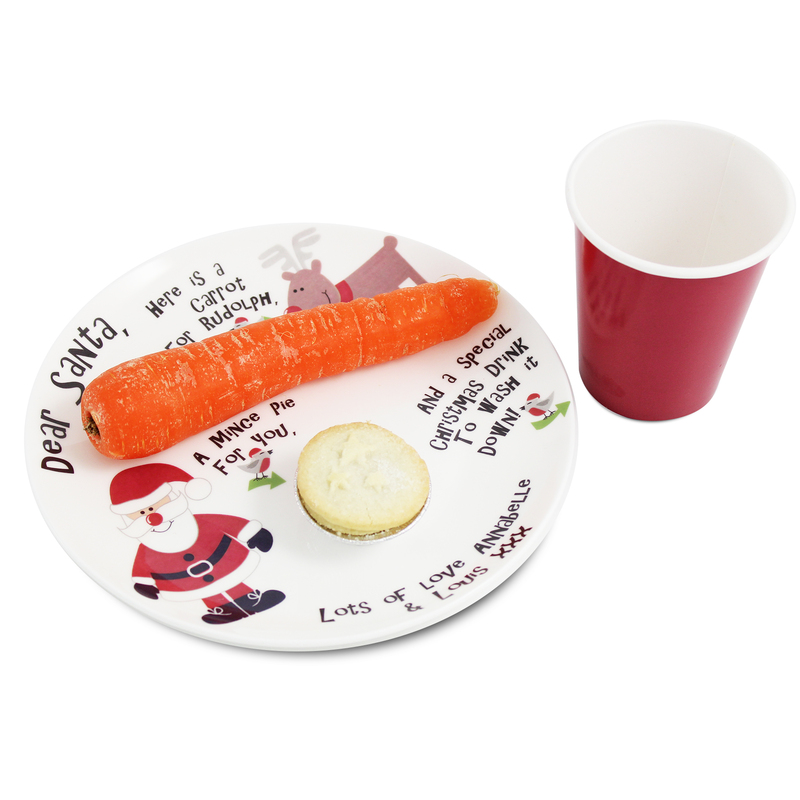 Leave a carrot for Rudolph, a mince pie for Santa and a drink by the side. 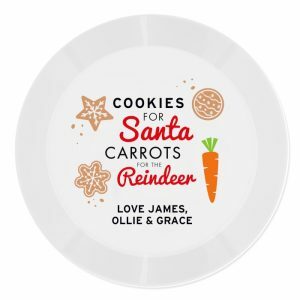 You can personalise this plate with 2 lines of 25 characters each, along the bottom rim – just add the details to be printed in the notes section during the payment stage. 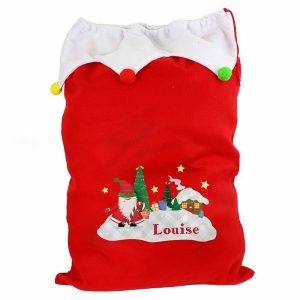 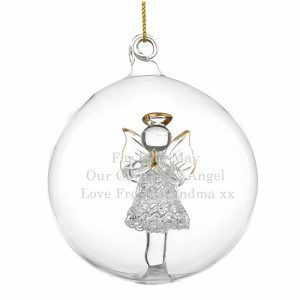 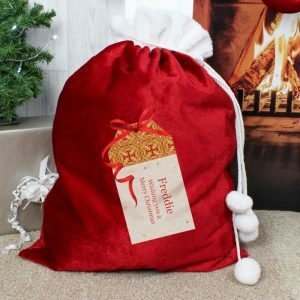 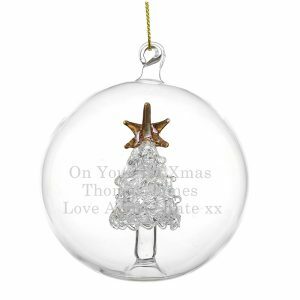 Please note, for this product to be delivered in time for Christmas, orders must be placed by Monday 10th December. This fantastic plate is the perfect way to get the little ones (and old ones) excited for Christmas morning. 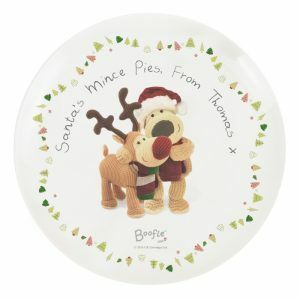 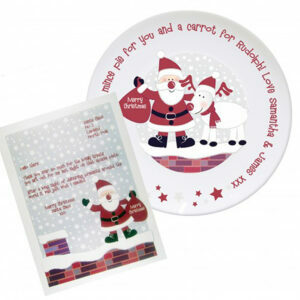 The plate is specially designed to leave a carrot for Rudolph, a mince pie for Santa and a special drink to wash it down to be left by the side of it. 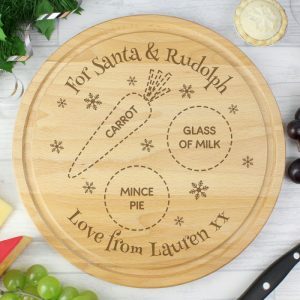 This ceramic plate measures 20cm across.